This guest blog was contributed by Michelle Seitzer, Caregiving Advice. This holiday season, many will add a senior living community visit to their travel and to-do lists. 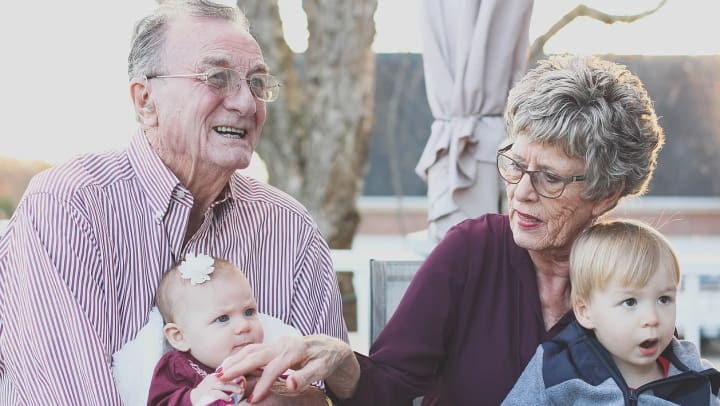 Whether you’re going to see parents, grandparents, friends, or relatives, if it’s the first time, it’s normal and natural to be a little anxious. But don’t let those butterflies stop you from going: visiting a loved one who has moved to senior living is an absolute must-do any time of the year. Tip #1: Make it a priority to make visiting a habit. If you can only visit when you’re home for the holidays, that’s fine. But whatever tradition you set, set it in stone. Because a move to senior living is simply that: a move. Nothing has changed. Yes, Grandpa needs to move to an assisted living home where he can be taken care of. Yes, Mom would like the companionship a senior living community has to offer. These are facts of life—there will always be changes—and Grandpa and Mom are still your family and still want to be part of your life. The fact that spending time with them happens in a senior living community and not the home you’re used to shouldn’t matter. This is their new home. Get comfortable with visiting them there. Tip #2: Get to know the staff and residents. The people who care for your loved one are now part of your extended family. The residents who live next door, down the hall, or even in a shared apartment can also become part of your extended family. Get to know them. You might be surprised by the relationship that develops. Case in point: A few weeks ago, my sisters, mother, and I visited my grandmother’s roommate, whom we hadn’t seen since Grandma’s passing this summer. She was moved to tears that we came to visit her. She couldn’t stop talking about Grandma, and how she was the best roommate she ever had. We thanked her for the way she looked out for Grandma: on more than one occasion, she had called the nurses when Grandma was in need of medical attention. Her roommate was a lifesaving connection, and we were all blessed to know her. Be open to that possibility at your loved one’s new residence. Tip #3: Do something together. You don’t have to come with a craft project and supplies—unless that is something you and your loved one enjoyed doing together before the move. Keep things simple, but come prepared with Grandpa’s favorite music or magazines, Grandma’s favorite photo albums, or Dad’s favorite snacks. Having something to do can spark conversations and connections if either of you are feeling uncomfortable or at a loss for words. But don’t be afraid of silence. Sometimes the most meaningful visits are ones where no words are exchanged. A hand held, a long hug, a loving smile: these speak volumes to your loved one and will stay in your memory for years to come. Tip #4: Act natural. Above all, be yourself. You don’t have to do anything different. Be present: that’s the best present you can give your loved one as they experience the life change of moving to senior living. And for many older adults, that life change brings with it many gifts and joys—it’s not always a negative thing. Keep this positive view in mind and keep visiting: because the change of address doesn’t change your relationship. Considering senior living for a loved one? You can search for housing & care options on Michelle’s website. About Michelle: Before launching her freelance career in 2008, Michelle Seitzer was building her content platform—elder care—while working for the Alzheimer's Association and in various senior living communities. Since then, she's written extensively about caregiving topics—along with healthcare, tech, finance, small business, and parenting—for numerous online publications, including AARP, Readers Digest, and US News. She's a grant reviewer for the Administration on Aging and has written policy reports for international Alzheimer's organizations. Seitzer was the co-founder of #ElderCareChat—which she moderated for 6 years—and now serves as a moderator for #CareChat. She currently cares for her young daughter with special needs and provided caregiving support to both grandparents.